• Both the buyer and the seller can make substantial savings closing costs. • They can negotiate your interest rate, repayment schedule, and other conditions of the loan. • The buyer can request special conditions for the purchase, such as inclusion of Household appliances- maybe a swing set-if its a waterfront property a dock-ect. • The borrower does not have to qualify with a loan underwriter. • This is a huge one There are no PMI INSURANCE. • The seller can receive a higher yield on his/her investment by receiving equity with interest. • The seller could negotiate a higher interest rate. 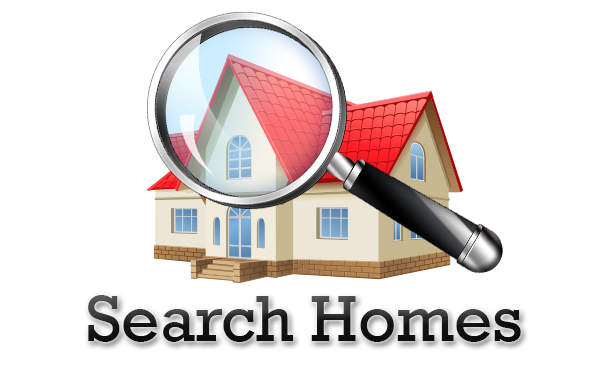 • The seller could negotiate a higher selling price. • The property could be sold “as is” so there will be no need for repairs. 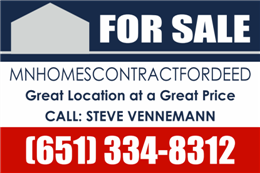 Seller financing is a contract/ loan provided by the Owner of a property to the Buyer/purchaser . When used in the context of residential real estate, it is also called MN Owner financing.Usually, the purchaser/Buyer will make a down payment of 10% or more down of the sale price of the house to the seller, and then make installment payments (on a monthly basis) over 3-5 years at an agreed-upon interest rate usually 5-6% of the sale price of the property. When the seller in a transaction offers the buyer a loan/note rather than the buyer obtaining a Mortgage from a bank. To a seller, agrees the buyer’s has credit-worthiness or ability and motivation to pay the Contract for deed/ Owner financing. For a buyer it is often beneficial, because he/she may not be able to obtain a loan from a bank. The Property is secured by the contract for deed ”NOTE” when the property sold or refinanced from the buyer. In the event that the buyer defaults , the property is foreclosed the contract for deed is cancelled similar to what a bank would do accept in Minnesota the foreclosure process is a lot faster than a mortgage. The seller can cancel the contract after 60days if the buyer does not make the scheduled payments. The purchase agreement should be drafted By BoardWalk Premier Realty. Broker/ Owner I have been in business for over 20 years. Rent-to-own, ‘”Rent 2 Own”‘ also known as rental-purchase, is a type of legally documented transaction under which tangible property real property, is leased in exchange for a weekly or monthly payment, with the option to purchase at some point during the agreement. A mortgage loan, or simply mortgage, is used either by purchasers of real property to raise funds to buy real estate, or alternatively by existing property owners to raise funds for any purpose, while putting a lien on the property being mortgaged. The loan is “secured” on the borrower’s property through a process known as mortgage origination. This means that a legal mechanism is put into place which allows the lender to take possession and sell the secured property (“foreclosure” or “repossession”) to pay off the loan in the event the borrower defaults on the loan or otherwise fails to abide by its terms.